This is a quick look at the NAM (north american model). 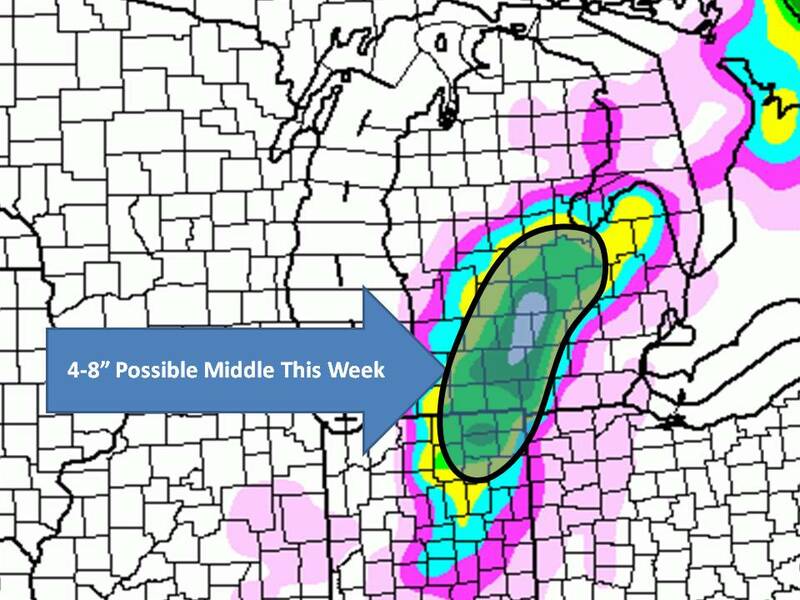 The snow will break out Tuesday night and Wed. morning in southern parts of Michigan (see map). It will be a heavy wet snow and should rapidly accumulate after day break. 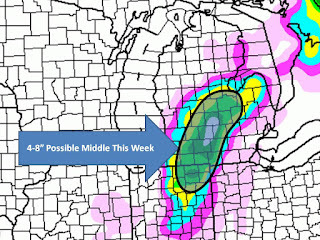 Look for an update in about an hour on the new 18z GFS model run.